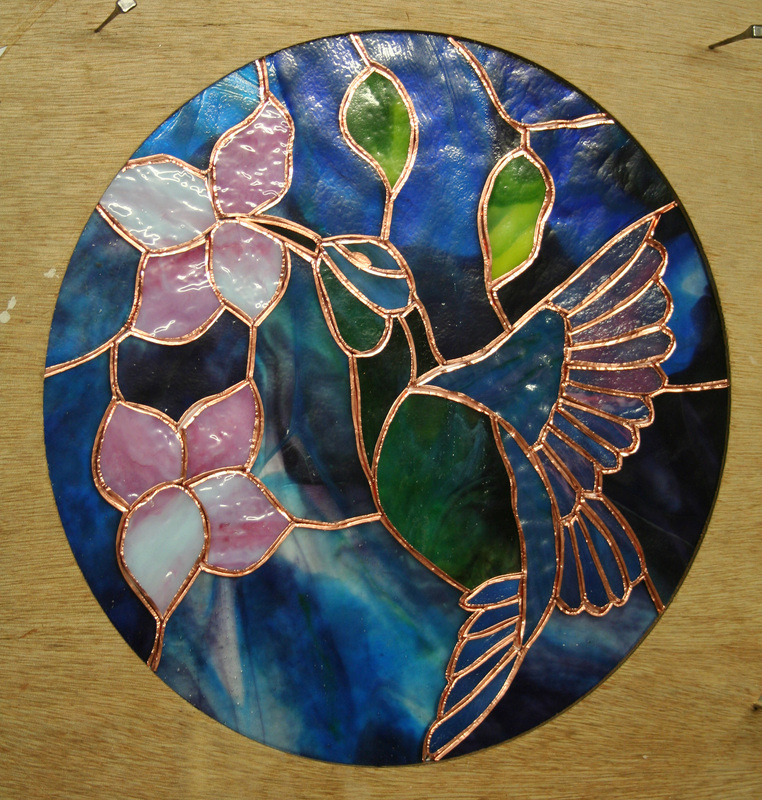 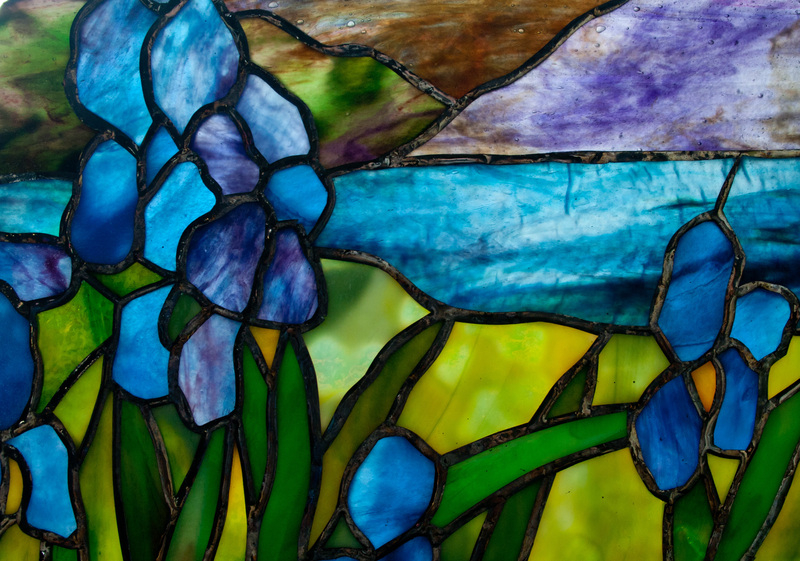 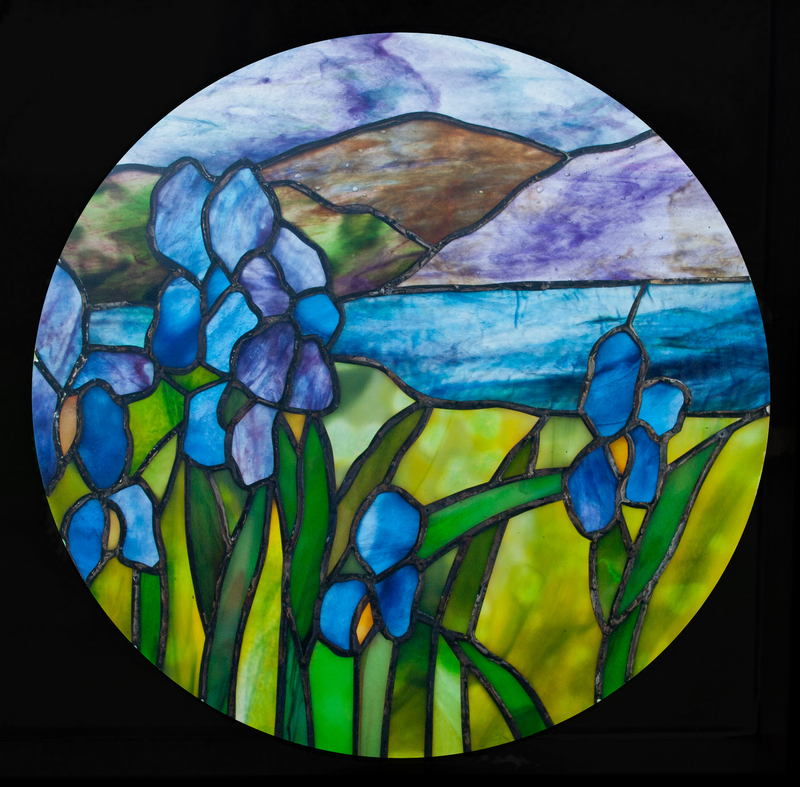 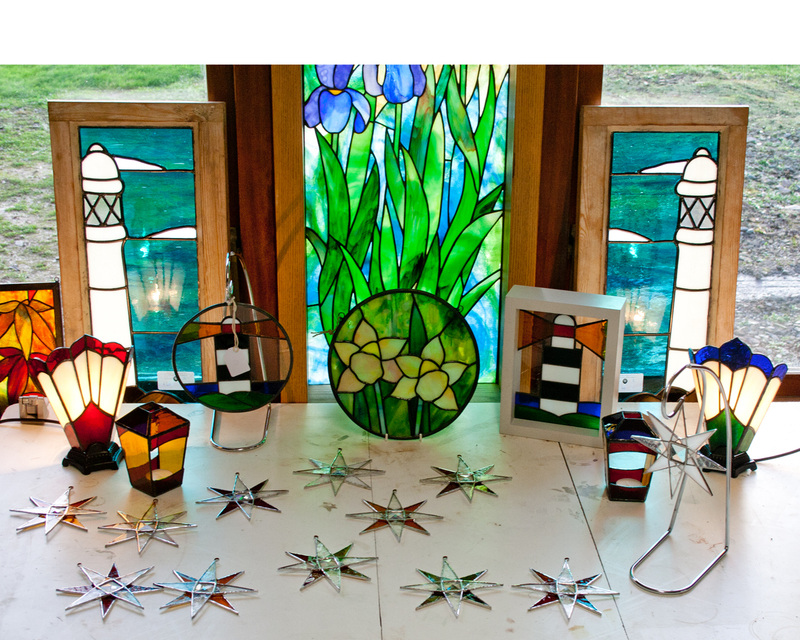 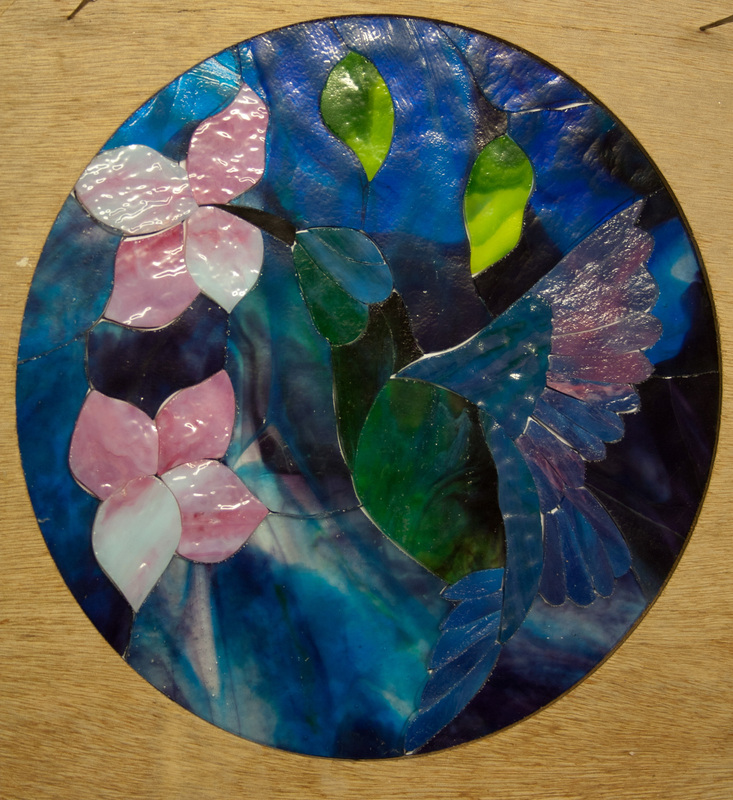 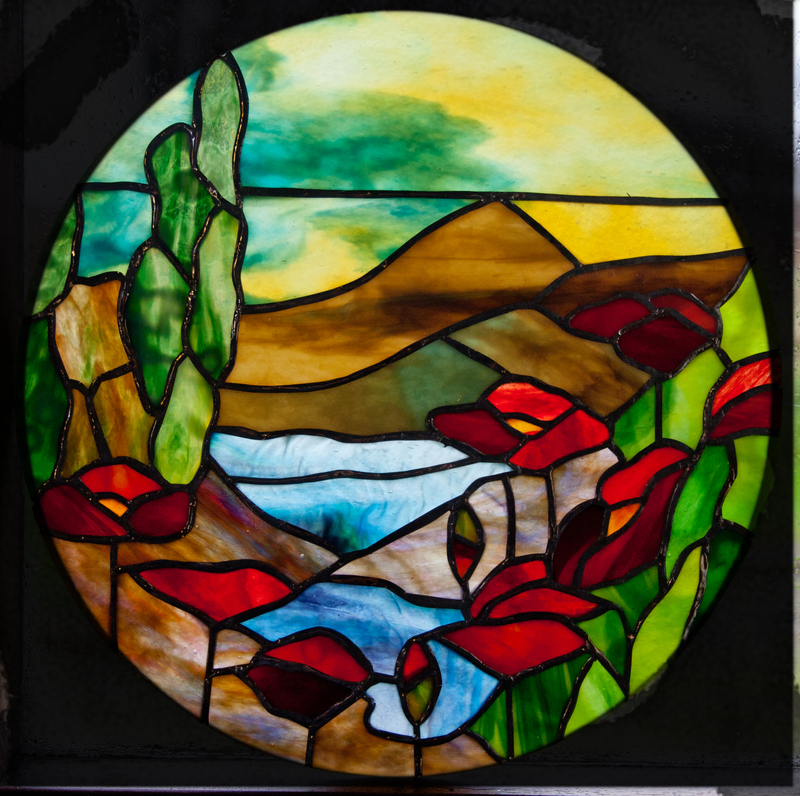 Made with Youghiogheny Glass using the copper foil method of construction this panel seems perfect for late September. 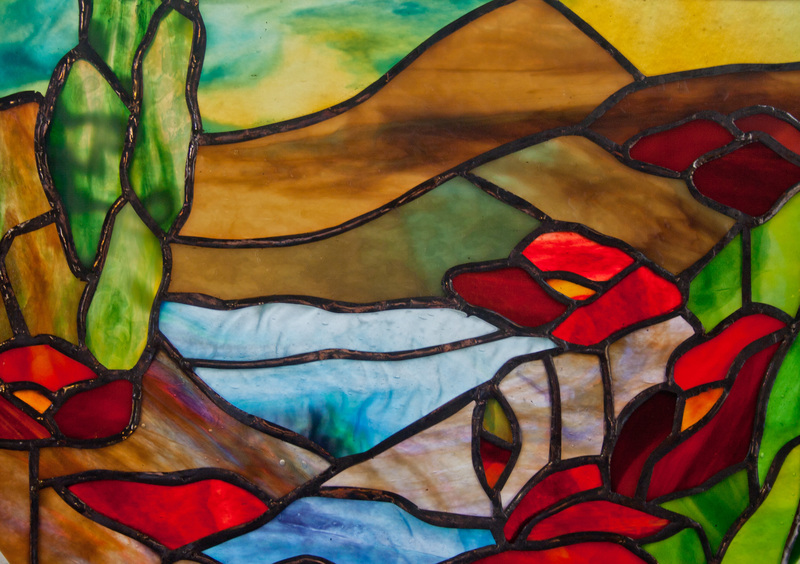 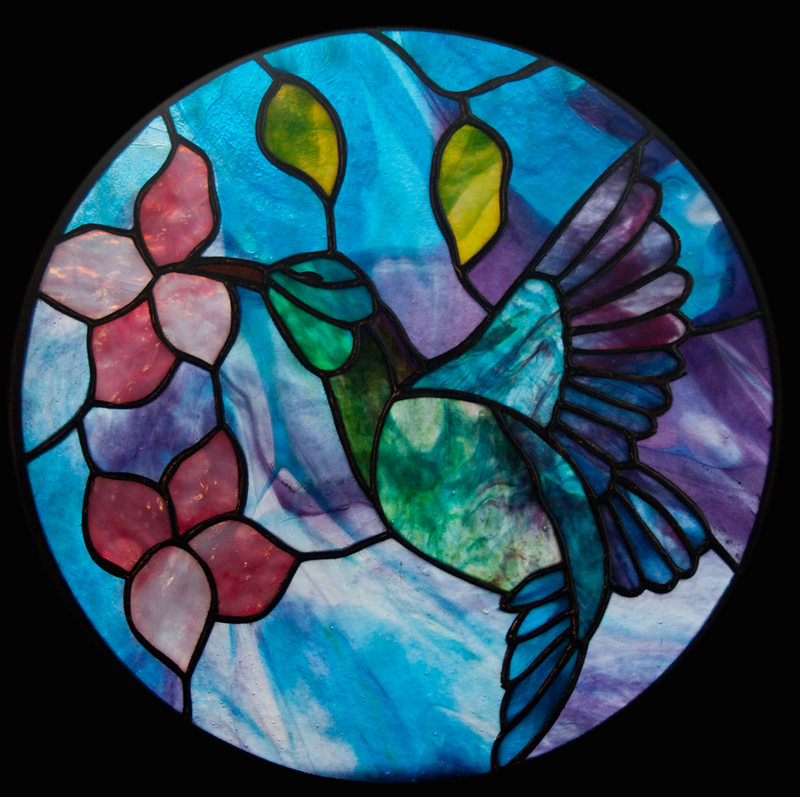 Maple trees come in such a variety of shapes and colours which make it a perfect subject for a stained glass panel. 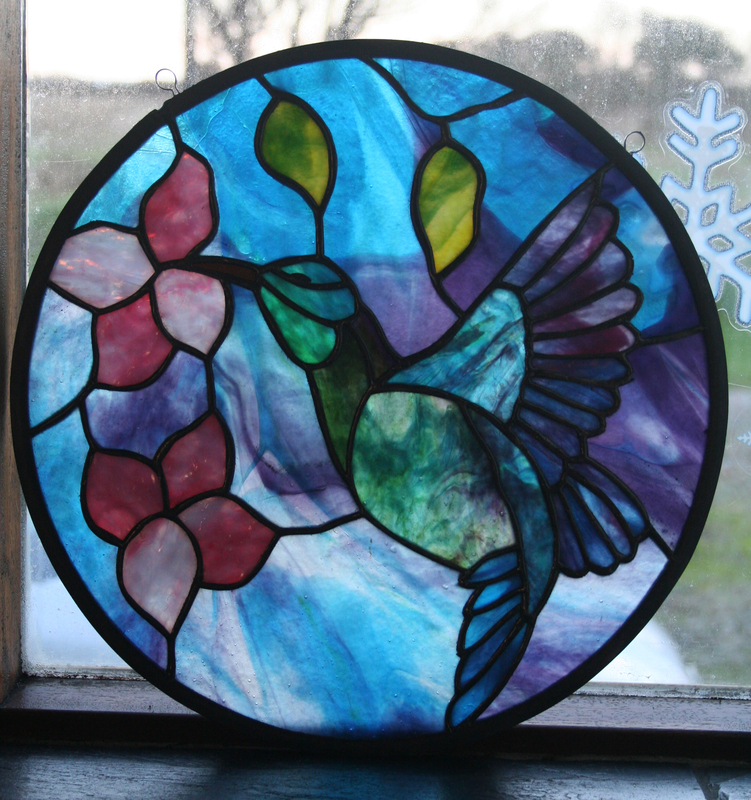 385mm x 925mm .